We appreciate innovative businesses that see the the value of the arts. By sponsoring us, these organizations are helping to support emerging Canadian Artists. We know that the power for change in our culture is driven by our every day decisions. We encourage you to support businesses that believe in the power of creativity, so much so that donate and financially support the arts. We are very grateful for their support. Established in 1991, NBC has boasted it’s locally made, all natural, and full flavour ale and organic beer. For the last 26 years they have also been committed to supporting local, non-profit organizations. 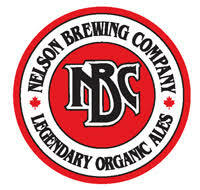 This year, we are very excited to be partnered with Nelson Brewing Company. Pinnacle accounting endlessly complies with local organizations, including Tiny lights. They believe that through their own business, they can positively contribute to the social, and economical well being of our community. We are grateful to once again partner with Fortis BC to reduce our ecological footprint. Fortis has supported Tiny Lights for many years by providing funding to develop our sustainability initiatives such as the bike powered stage and our waste management protocols. Fortis BC once again shows that larger businesses can make positive changes one small event at a time.